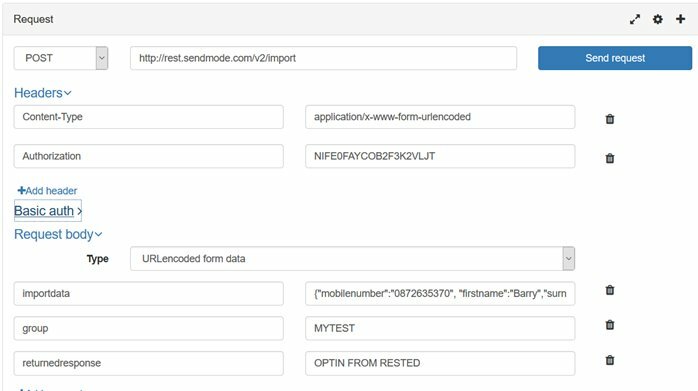 Sendmode’s Developer API for Bulk SMS delivery is one of the most robust and easy to integrate into the internet. 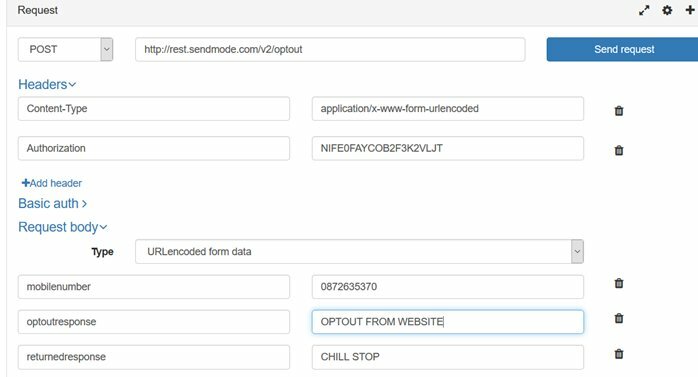 With GDPR we have added the ability to both OPT-IN and OPTOUT using the API. Import member command has two new variables optinconsent, returnedresponse. optinconsent – Label for reference to where consent came from. returnedresponse – Optional for users who want to have a message forwarded to them when an Opt-in happens. Format below, data will be on developers.sendmode.com. Opt-out member command has two new variables optoutreason, returnedresponse. optoutreason – Label for reference if an optoutreson was given. returnedresponse – Optional for users who want to have a message forwarded to them when an Opt-out happens. Format below, also on on developers.sendmode.com. Format below, and also on developers.sendmode.com. Sendmode has been in the mobile marketing industry for almost 10 years and serves over 30,000 customers worldwide. We are fully committed to keeping our customers GDPR compliant and provide a number of easy to use features such as the subject of this blog – GDPR Reports – across our platform. If you are using another Bulk SMS provider and are not satisfied with how they will keep you GDPR compliant, why not register for a no-obligation free trial by clicking the image below, check out our super low prices and then click ‘Try for Free’. This article was posted in Blog - All Entries, Developers, GDPR.